Teakwood Sandstone is imported sandstone from India. 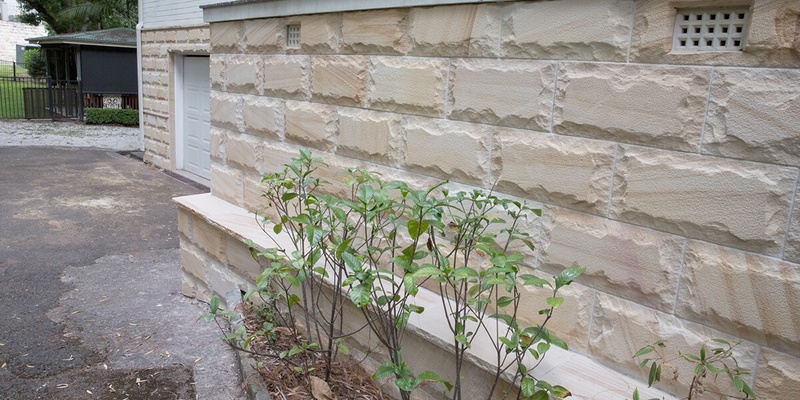 Being a dense sandstone it allows us to cut the stone in only 30mm thick and rockfaced it without breaking the stone. 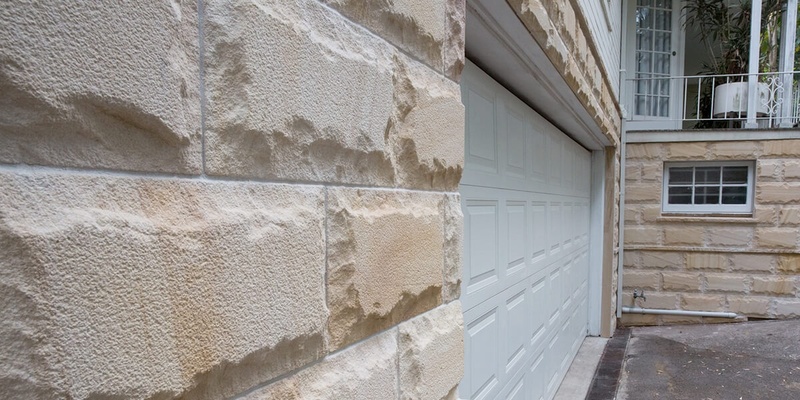 The stone has that sandblusted texture which looks more like the Sydney sandstone gang sawn finish. 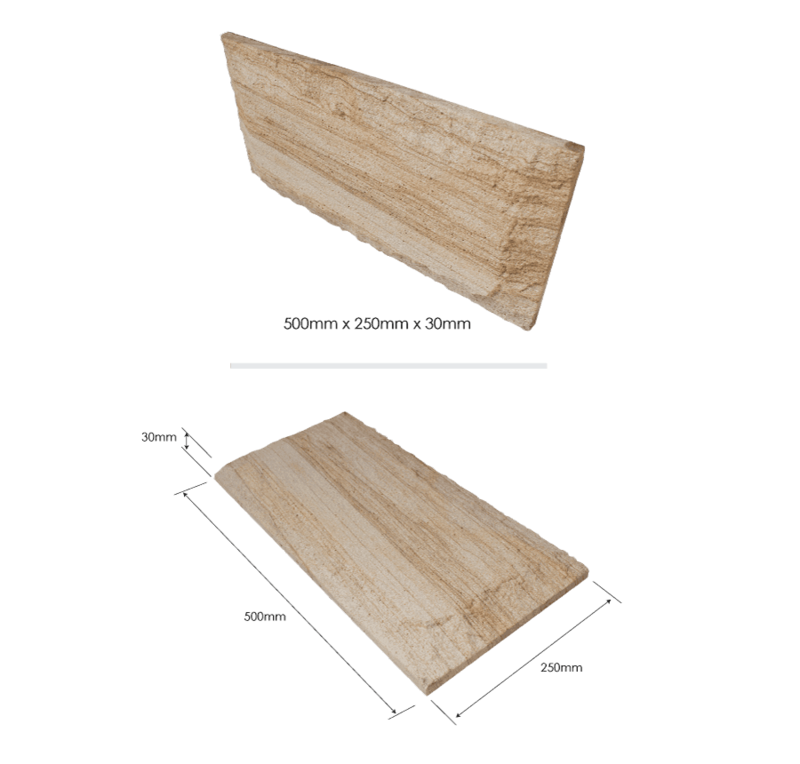 The greatest benefit besides the fact that Teakwood Sandstone is beautiful and dense it is also affordable to compare to Sydney Sandstone.